What effect does a flat vs arch top have on a gj guitardoes the sound differ?<br /> Is that why jorgenson gitanes sound more "gypsy" than the lower models? 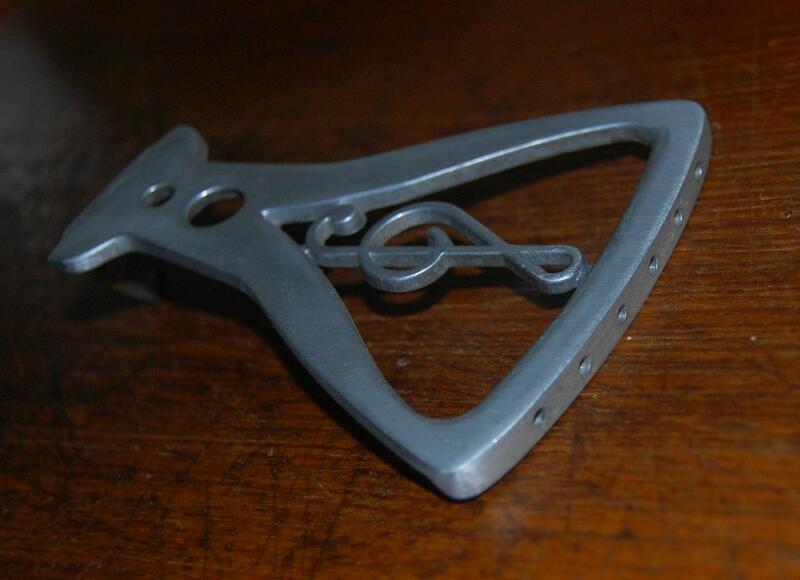 from vintage tuners, purfling pattern & tailpiece (missing a clef sign) I'm guessing Sonora? anyone?? Your guitar is missing the musical key in the tailpiece. And a string or two. It is probably a Sonora going by the tailpiece (yes with a bit missing), I have one the same, but this type was also sold under other names. 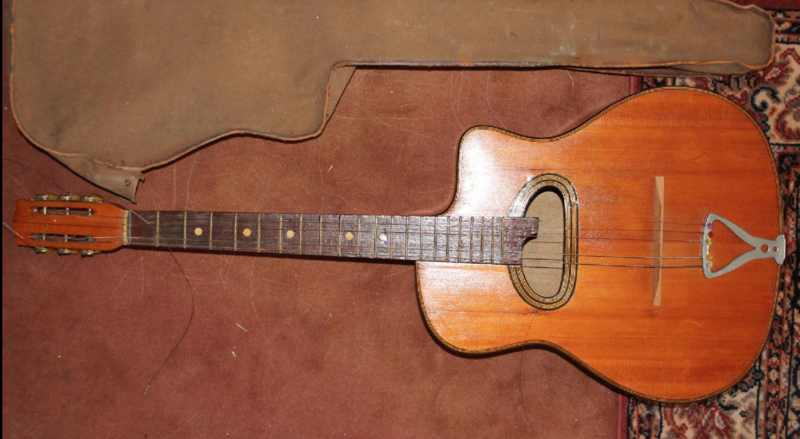 It is the same as the one discussed in the post 'Help me identify this old GJ guitar.' from last week in which I described the history of these as far as is known. Some like to identify them as Busatos, presumably to add value and kudos, but that is by no means proven. I like the tailpiece. Any close ups on how the strings attach? I just happen to have mine on the bench, (the guitar is in pieces to plane the fingerboard and refret). This one has the original clef inlay intact but I have seen many without them, I guess as they are cast aluminum they were easily broken. 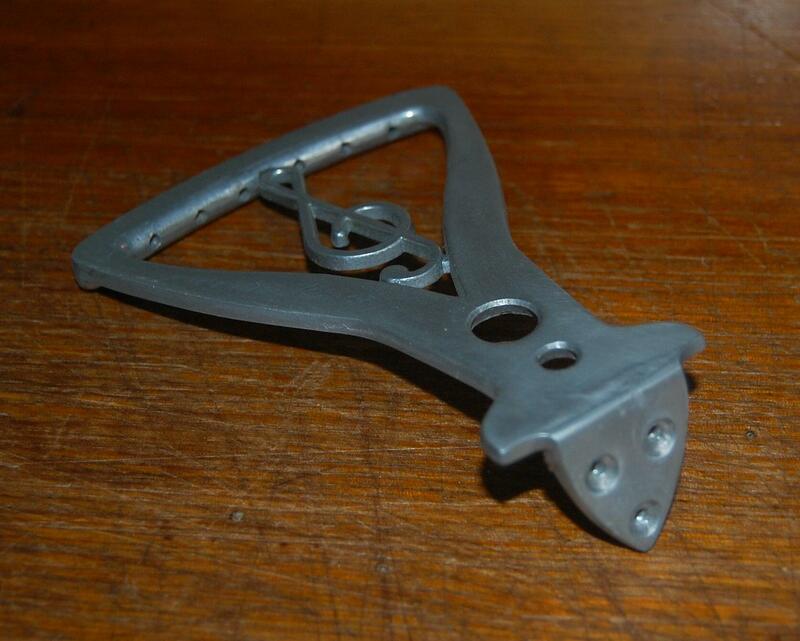 As you can see the strings pass through the main bar as on any normal trapeze style tailpiece.